*Price does not include any dealer installed options. Some rebates require qualification. Price applies to retail and finance. Not all rebates can be combined with 0% financing. Price includes: $1,000 - Kia Customer Cash. Exp. 04/30/2019 $2,356 off MSRP! 2019 Kia Sedona LX Citrus Motors Kia, Where No Pressure Means A Great Deal! Call to confirm availability and setup your appointment today! 888-399-0475. We are located at: 1350 S Woodruff Way Ontario, CA 91761 www.CitrusKia.net. 17" x 6.5J Alloy Wheels, 2-Way Power Driver Lumbar Support, 3.041 Axle Ratio, 3rd row seats: split-bench, 4-Way Adjustable Passenger's Seat, 4-Wheel Disc Brakes, 6 Speakers, 8-Way Power Driver Seat, ABS brakes, Air Conditioning, AM/FM radio, Blind spot sensor: Blind Spot Collision Warning warning, Brake assist, Bumpers: body-color, Carpeted Floor Mats, Cloth Seat Trim w/YES Essentials, Delay-off headlights, Driver door bin, Driver vanity mirror, Dual front impact airbags, Dual front side impact airbags, Electronic Stability Control, Exterior Parking Camera Rear, Four wheel independent suspension, Front anti-roll bar, Front Bucket Seats, Front Captain Seats, Front Center Armrest w/Storage, Front reading lights, Fully automatic headlights, Illuminated entry, Low tire pressure warning, Occupant sensing airbag, Outside temperature display, Overhead airbag, Overhead console, Panic alarm, Passenger door bin, Passenger vanity mirror, Power door mirrors, Power driver seat, Power steering, Power windows, Radio: AM/FM/MP3 Audio System, Rear air conditioning, Rear anti-roll bar, Rear reading lights, Rear window defroster, Rear window wiper, Reclining 3rd row seat, Remote keyless entry, Security system, Speed control, Speed-sensing steering, Split folding rear seat, Spoiler, Steering wheel mounted audio controls, Tachometer, Telescoping steering wheel, Tilt steering wheel, Traction control, Trip computer, Turn signal indicator mirrors, Variably intermittent wipers. *Price does not include any dealer installed options. Some rebates require qualification. Price applies to retail and finance. Not all rebates can be combined with 0% financing. Price includes: $1,500 - Kia Customer Cash. Exp. 04/30/2019 $3,197 off MSRP! 2019 Kia Sedona EX Citrus Motors Kia, Where No Pressure Means A Great Deal! Call to confirm availability and setup your appointment today! 888-399-0475. We are located at: 1350 S Woodruff Way Ontario, CA 91761 www.CitrusKia.net. 2-Way Power Driver Lumbar Support, 3.041 Axle Ratio, 3rd row seats: split-bench, 4-Way Adjustable Passenger's Seat, 4-Wheel Disc Brakes, 6 Speakers, 8-Way Power Driver Seat, ABS brakes, Air Conditioning, Alloy wheels, AM/FM radio: SiriusXM, Auto-dimming Rear-View mirror, Automatic temperature control, Blind spot sensor: Blind Spot Collision Warning warning, Brake assist, Bumpers: body-color, Cargo Net, Carpeted Floor Mats, Compass, Delay-off headlights, Driver door bin, Driver vanity mirror, Dual front impact airbags, Dual front side impact airbags, Electronic Stability Control, Emergency communication system, Exterior Parking Camera Rear, Four wheel independent suspension, Front anti-roll bar, Front Bucket Seats, Front Center Armrest w/Storage, Front dual zone A/C, Front reading lights, Fully automatic headlights, Garage door transmitter: HomeLink, Heated door mirrors, Heated Front Captain Seats, Heated front seats, Illuminated entry, Leather Shift Knob, Leather steering wheel, Leather-Trimmed Seats, Low tire pressure warning, Occupant sensing airbag, Outside temperature display, Overhead airbag, Overhead console, Panic alarm, Passenger door bin, Passenger vanity mirror, Power door mirrors, Power driver seat, Power steering, Power windows, Radio: AM/FM/MP3 Audio System, Rear air conditioning, Rear anti-roll bar, Rear reading lights, Rear window defroster, Rear window wiper, Reclining 3rd row seat, Remote keyless entry, Roof rack: rails only, Security system, Speed control, Speed-sensing steering, Split folding rear seat, Spoiler, Steering wheel mounted audio controls, Sun blinds, Tachometer, Telescoping steering wheel, Tilt steering wheel, Traction control, Trip computer, Turn signal indicator mirrors, Variably intermittent wipers. *Price does not include any dealer installed options. Some rebates require qualification. Price applies to retail and finance. Not all rebates can be combined with 0% financing. Price includes: $1,500 - Kia Customer Cash. Exp. 04/30/2019 $3,580 off MSRP! 2019 Kia Sedona EX Citrus Motors Kia, Where No Pressure Means A Great Deal! Call to confirm availability and setup your appointment today! 888-399-0475. 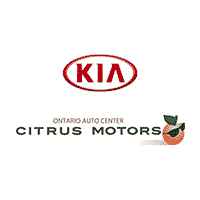 We are located at: 1350 S Woodruff Way Ontario, CA 91761 www.CitrusKia.net. 2-Way Power Driver Lumbar Support, 3.041 Axle Ratio, 3rd row seats: split-bench, 4-Way Adjustable Passenger's Seat, 4-Wheel Disc Brakes, 6 Speakers, 8-Way Power Driver Seat, ABS brakes, Air Conditioning, Alloy wheels, AM/FM radio: SiriusXM, Auto-dimming Rear-View mirror, Automatic temperature control, Blind spot sensor: Blind Spot Collision Warning warning, Brake assist, Bumpers: body-color, Cargo Net, Carpeted Floor Mats, Compass, Delay-off headlights, Driver door bin, Driver vanity mirror, Dual front impact airbags, Dual front side impact airbags, Electronic Stability Control, Emergency communication system, Exterior Parking Camera Rear, Four wheel independent suspension, Front anti-roll bar, Front Bucket Seats, Front Center Armrest w/Storage, Front dual zone A/C, Front reading lights, Fully automatic headlights, Garage door transmitter: HomeLink, Heated door mirrors, Heated Front Captain Seats, Heated front seats, Illuminated entry, Leather Shift Knob, Leather steering wheel, Leather-Trimmed Seats, Low tire pressure warning, Occupant sensing airbag, Outside temperature display, Overhead airbag, Overhead console, Panic alarm, Passenger door bin, Passenger vanity mirror, Power door mirrors, Power driver seat, Power steering, Power windows, Radio: AM/FM/MP3 Audio System, Rear air conditioning, Rear anti-roll bar, Rear reading lights, Rear window defroster, Rear window wiper, Reclining 3rd row seat, Remote keyless entry, Roof rack: rails only, Security system, Speed control, Speed-sensing steering, Split folding rear seat, Spoiler, Steering wheel mounted audio controls, Sun blinds, Tachometer, Telescoping steering wheel, Tilt steering wheel, Traction control, Trip computer, Turn signal indicator mirrors, Variably intermittent wipers. *Price does not include any dealer installed options. Some rebates require qualification. Price applies to retail and finance. Not all rebates can be combined with 0% financing. Price includes: $1,000 - Kia Customer Cash. Exp. 04/30/2019 $2,210 off MSRP! 2019 Kia Sedona LX Citrus Motors Kia, Where No Pressure Means A Great Deal! Call to confirm availability and setup your appointment today! 888-399-0475. We are located at: 1350 S Woodruff Way Ontario, CA 91761 www.CitrusKia.net. 17" x 6.5J Alloy Wheels, 2-Way Power Driver Lumbar Support, 3.041 Axle Ratio, 3rd row seats: split-bench, 4-Way Adjustable Passenger's Seat, 4-Wheel Disc Brakes, 6 Speakers, 8-Way Power Driver Seat, ABS brakes, Air Conditioning, AM/FM radio, Blind spot sensor: Blind Spot Collision Warning warning, Brake assist, Bumpers: body-color, Carpeted Floor Mats, Cloth Seat Trim w/YES Essentials, Delay-off headlights, Driver door bin, Driver vanity mirror, Dual front impact airbags, Dual front side impact airbags, Electronic Stability Control, Exterior Parking Camera Rear, Four wheel independent suspension, Front anti-roll bar, Front Bucket Seats, Front Captain Seats, Front Center Armrest w/Storage, Front reading lights, Fully automatic headlights, Illuminated entry, Low tire pressure warning, Occupant sensing airbag, Outside temperature display, Overhead airbag, Overhead console, Panic alarm, Passenger door bin, Passenger vanity mirror, Power door mirrors, Power driver seat, Power steering, Power windows, Radio: AM/FM/MP3 Audio System, Rear air conditioning, Rear anti-roll bar, Rear reading lights, Rear window defroster, Rear window wiper, Reclining 3rd row seat, Remote keyless entry, Security system, Speed control, Speed-sensing steering, Split folding rear seat, Spoiler, Steering wheel mounted audio controls, Tachometer, Telescoping steering wheel, Tilt steering wheel, Traction control, Trip computer, Turn signal indicator mirrors, Variably intermittent wipers. *Price does not include any dealer installed options. Some rebates require qualification. Price applies to retail and finance. Not all rebates can be combined with 0% financing. Price includes: $1,000 - Kia Customer Cash. Exp. 04/30/2019 $2,401 off MSRP! 2019 Kia Sedona LX Citrus Motors Kia, Where No Pressure Means A Great Deal! Call to confirm availability and setup your appointment today! 888-399-0475. We are located at: 1350 S Woodruff Way Ontario, CA 91761 www.CitrusKia.net. 17" x 6.5J Alloy Wheels, 2-Way Power Driver Lumbar Support, 3.041 Axle Ratio, 3rd row seats: split-bench, 4-Way Adjustable Passenger's Seat, 4-Wheel Disc Brakes, 6 Speakers, 8-Way Power Driver Seat, ABS brakes, Air Conditioning, AM/FM radio, Blind spot sensor: Blind Spot Collision Warning warning, Brake assist, Bumpers: body-color, Carpeted Floor Mats, Cloth Seat Trim w/YES Essentials, Delay-off headlights, Driver door bin, Driver vanity mirror, Dual front impact airbags, Dual front side impact airbags, Electronic Stability Control, Exterior Parking Camera Rear, Four wheel independent suspension, Front anti-roll bar, Front Bucket Seats, Front Captain Seats, Front Center Armrest w/Storage, Front reading lights, Fully automatic headlights, Illuminated entry, Low tire pressure warning, Occupant sensing airbag, Outside temperature display, Overhead airbag, Overhead console, Panic alarm, Passenger door bin, Passenger vanity mirror, Power door mirrors, Power driver seat, Power steering, Power windows, Radio: AM/FM/MP3 Audio System, Rear air conditioning, Rear anti-roll bar, Rear reading lights, Rear window defroster, Rear window wiper, Reclining 3rd row seat, Remote keyless entry, Security system, Speed control, Speed-sensing steering, Split folding rear seat, Spoiler, Steering wheel mounted audio controls, Tachometer, Telescoping steering wheel, Tilt steering wheel, Traction control, Trip computer, Turn signal indicator mirrors, Variably intermittent wipers. *Price does not include any dealer installed options. Some rebates require qualification. Price applies to retail and finance. Not all rebates can be combined with 0% financing. Price includes: $1,500 - Kia Customer Cash. Exp. 04/30/2019 $3,271 off MSRP! 2019 Kia Sedona SX Citrus Motors Kia, Where No Pressure Means A Great Deal! Call to confirm availability and setup your appointment today! 888-399-0475. We are located at: 1350 S Woodruff Way Ontario, CA 91761 www.CitrusKia.net. 3.041 Axle Ratio, 3rd row seats: split-bench, 4-way Power Driver's Lumbar Support, 4-Wheel Disc Brakes, 8 Speakers, 8-Way Power Driver Seat, 8-Way Power Passenger Seat, ABS brakes, Air Conditioning, AM/FM radio: SiriusXM, Auto High-beam Headlights, Auto-dimming Rear-View mirror, Automatic temperature control, Blind spot sensor: Blind Spot Collision Warning warning, Brake assist, Bumpers: body-color, Cargo Net, CD player, Compass, Delay-off headlights, Distance pacing cruise control: Smart Cruise Control, Driver door bin, Driver vanity mirror, Driver's Seat & Mirrors Memory System, Dual front impact airbags, Dual front side impact airbags, Electronic Stability Control, Emergency communication system, Four wheel independent suspension, Front anti-roll bar, Front Bucket Seats, Front Center Armrest w/Storage, Front dual zone A/C, Front fog lights, Front reading lights, Fully automatic headlights, Garage door transmitter: HomeLink, harman/kardon® Speakers, Heated & Ventilated Front Captain Seats, Heated door mirrors, Heated front seats, Heated steering wheel, Illuminated entry, Leather Shift Knob, Leather steering wheel, Leather-Trimmed Seats, Low tire pressure warning, Memory seat, Navigation System, Occupant sensing airbag, Outside temperature display, Overhead airbag, Overhead console, Panic alarm, Passenger door bin, Passenger vanity mirror, Power door mirrors, Power driver seat, Power Liftgate, Power moonroof, Power passenger seat, Power steering, Power windows, Radio: AM/FM/MP3 Audio System, Rear air conditioning, Rear anti-roll bar, Rear reading lights, Rear window defroster, Rear window wiper, Reclining 3rd row seat, Remote keyless entry, Roof rack: rails only, Security system, Speed control, Speed-sensing steering, Split folding rear seat, Spoiler, Steering wheel mounted audio controls, Sun blinds, Tachometer, Telescoping steering wheel, Tilt steering wheel, Traction control, Trip computer, Turn signal indicator mirrors, Variably intermittent wipers, Ventilated front seats, Wheel Locks, Wheels: 18" x 7.0J Alloy w/Premium Machined Finish. *Price does not include any dealer installed options. Some rebates require qualification. Price applies to retail and finance. Not all rebates can be combined with 0% financing. Price includes: $1,500 - Kia Customer Cash. Exp. 04/30/2019 $2,784 off MSRP! 2019 Kia Sedona EX Citrus Motors Kia, Where No Pressure Means A Great Deal! Call to confirm availability and setup your appointment today! 888-399-0475. We are located at: 1350 S Woodruff Way Ontario, CA 91761 www.CitrusKia.net. 110V Inverter, 2-Way Power Driver Lumbar Support, 3.041 Axle Ratio, 3rd row seats: split-bench, 4-Way Adjustable Passenger's Seat, 4-way Power Driver's Lumbar Support, 4-Wheel Disc Brakes, 6 Speakers, 8-Way Power Driver Seat, ABS brakes, Air Conditioning, Alloy wheels, AM/FM radio: SiriusXM, Auto-dimming Rear-View mirror, Automatic temperature control, Blind spot sensor: Blind Spot Collision Warning warning, Brake assist, Bumpers: body-color, Cargo Net, Carpeted Floor Mats, Carpeted Floor Mats w/PR6, Compass, Delay-off headlights, Driver door bin, Driver vanity mirror, Driver's Seat & Mirrors Memory System, Dual Cooling Glovebox, Dual front impact airbags, Dual front side impact airbags, Electronic Stability Control, Emergency communication system, EX Premium Package, Exterior Parking Camera Rear, Four wheel independent suspension, Front anti-roll bar, Front Bucket Seats, Front Center Armrest w/Storage, Front dual zone A/C, Front reading lights, Fully automatic headlights, Garage door transmitter: HomeLink, Heated door mirrors, Heated Front Captain Seats, Heated front seats, Illuminated entry, Leather Shift Knob, Leather steering wheel, Leather-Trimmed Seats, Low tire pressure warning, Occupant sensing airbag, Outside temperature display, Overhead airbag, Overhead console, Panic alarm, Passenger door bin, Passenger vanity mirror, Power door mirrors, Power driver seat, Power Electric Folding Mirrors, Power Front Passenger Seat, Power steering, Power windows, Radio: AM/FM/MP3 Audio System, Rear air conditioning, Rear anti-roll bar, Rear reading lights, Rear window defroster, Rear window wiper, Reclining 3rd row seat, Remote keyless entry, Roof rack: rails only, Security system, Single Sunroof, Smart Power Liftgate, Speed control, Speed-sensing steering, Split folding rear seat, Spoiler, Steering wheel mounted audio controls, Sun blinds, Sunshades 2nd & 3rd Row, Supervision Meter Cluster, Tachometer, Telescoping steering wheel, Tilt steering wheel, Traction control, Trip computer, Turn signal indicator mirrors, Variably intermittent wipers. *Price does not include any dealer installed options. Some rebates require qualification. Price applies to retail and finance. Not all rebates can be combined with 0% financing. Price includes: $1,000 - Kia Customer Cash. Exp. 04/30/2019 $2,304 off MSRP! 2019 Kia Sedona LX Citrus Motors Kia, Where No Pressure Means A Great Deal! Call to confirm availability and setup your appointment today! 888-399-0475. We are located at: 1350 S Woodruff Way Ontario, CA 91761 www.CitrusKia.net. 17" x 6.5J Alloy Wheels, 2-Way Power Driver Lumbar Support, 3.041 Axle Ratio, 3rd row seats: split-bench, 4-Way Adjustable Passenger's Seat, 4-Wheel Disc Brakes, 6 Speakers, 8-Way Power Driver Seat, ABS brakes, Air Conditioning, AM/FM radio, Blind spot sensor: Blind Spot Collision Warning warning, Brake assist, Bumpers: body-color, Cargo Net, Carpeted Floor Mats, Cloth Seat Trim w/YES Essentials, Delay-off headlights, Driver door bin, Driver vanity mirror, Dual front impact airbags, Dual front side impact airbags, Electronic Stability Control, Exterior Parking Camera Rear, Four wheel independent suspension, Front anti-roll bar, Front Bucket Seats, Front Captain Seats, Front Center Armrest w/Storage, Front reading lights, Fully automatic headlights, Illuminated entry, Low tire pressure warning, Occupant sensing airbag, Outside temperature display, Overhead airbag, Overhead console, Panic alarm, Passenger door bin, Passenger vanity mirror, Power door mirrors, Power driver seat, Power steering, Power windows, Radio: AM/FM/MP3 Audio System, Rear air conditioning, Rear anti-roll bar, Rear reading lights, Rear window defroster, Rear window wiper, Reclining 3rd row seat, Remote keyless entry, Security system, Speed control, Speed-sensing steering, Split folding rear seat, Spoiler, Steering wheel mounted audio controls, Tachometer, Telescoping steering wheel, Tilt steering wheel, Traction control, Trip computer, Turn signal indicator mirrors, Variably intermittent wipers.